If you really want to play baseball properly, you will need to get the best baseball gloves you can afford. Baseball isn’t just about hitting. It’s also about properly fielding your position. To do that, you need a glove that’s right for you and for the position on the field you play. The great thing about the best baseball gloves is that they actually work better as more time passes. The leather molds itself to the shape of your hand. It forms a nice pocket for the baseball, and it becomes easier to open and close. As you get used to it, you’re able to catch more balls and it’s faster for you to open the glove so you can pass the ball to a teammate. Of course, there’s also the position you’re playing. Some gloves are designed and marketed for certain specific positions. Here are some other guidelines to consider when you’re trying to choose the best gloves for your position. The first thing you need to remember about pitching is that the pitcher needs to hide the grip from the batter. That means you need a closed web so there’s no peeking. Then you also need some sort of room inside so the pitcher can grip the ball in various ways. There’s also the task of fielding. When you try to list down the best pitchers, you don’t often consider how they field their position. But that’s actually one of the more important tasks of a pitcher. So the best pitchers gloves must also allow the pitcher to field the ball quickly. It’s not just a matter of helping the team with good fielding. Sometimes it’s just a matter of self-preservation. After all, they’re the closest fielder to the batter, and that means the ball can get to them very quickly. Also, the mound can make the ball go in unpredictable directions, so quick reflexes are crucial. In general, pitcher’s gloves measure anywhere from 11 to 11.75 inches. That’s a good enough size so that the glove hand can move quickly to at least block the ball from hitting the pitcher! 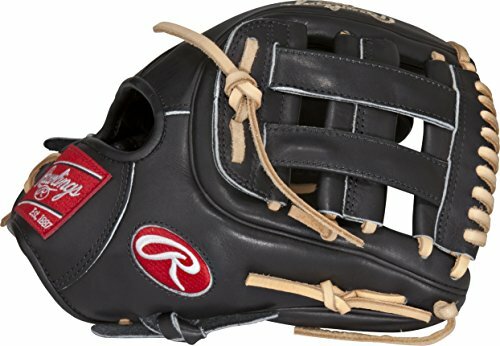 At first glance this 11.5-inch glove doesn’t look like a pitcher’s glove at all since it features an open webbing design. But some pitchers actually use this. That’s because the webbing isn’t really that open, so the pitchers can still hide the ball easily enough when they grip the ball. At the same time, it’s also a great infielder’s glove. That makes it perfect for many players who pitch and also play other infield positions. 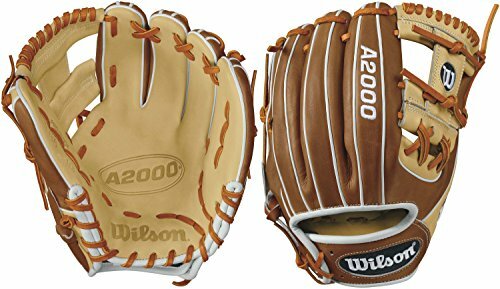 This is part of the A2000 Wilson gloves, and it features the excellent Pro Stock leather American Steerhide that’s chosen specifically for use in the best Wilson baseball gloves. It breaks in very well as it is softer and easier to break in than the Wilson A2K. It lasts longer than you’d think afterwards. 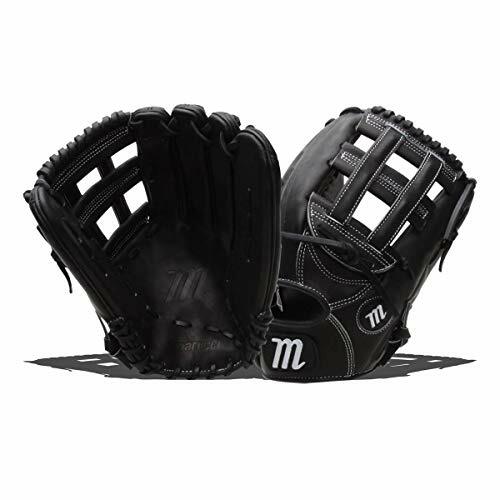 This glove features the Dual Welting design. This is the special finger design that’s pre-curved so that the pocket of the glove is really stable. The design helps the glove close over the ball and it also strengthens the finger slots so they will keep their shape longer. It also comes with the Dri-Lex wrist lining that keeps you hand cool by absorbing the sweat from your skin. This is a Wilson A2000, and its legend lives on. This is the glove that many pros use and it’s always mentioned whenever the best baseball gloves are discussed and listed. 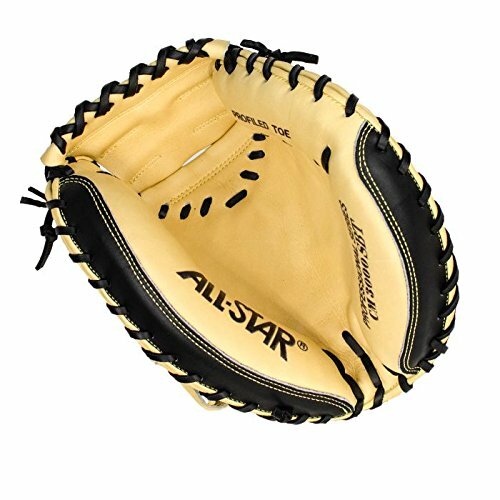 In many ways, the first base glove resembles the baseball catcher’s mitt because many of the defensive plays end up with the ball being thrown to first base. That’s why they’re often called the catchers of the infield. So you will need an especially durable and tough mitt because as the 1st baseman you’re going to catch a lot of balls. This also means that the glove for the 1st baseman is going to be a little bit larger so that catching the ball is easier. So usually you should go for a 13-inch mitt. That helps you rein in all those balls. At the same time, the 1st baseman still needs to field balls that come their way too. So they can’t very well use a catcher’s mitt. The glove should also allow the player to get their hands on the ball easily, just in case there’s a runner going for home. Now this is a proper mitt for a 1st baseman. Yet at the same time, it’s actually much more versatile than you think. The design actually makes it useful for both baseball and softball. First you have a large pocket along with a huge opening space. That makes it much easier for you to securely catch all those balls coming your way to 1st base before the hitter gets on base. It’s very large at 13 inches, and that’s all well and good. The back is also closed so you get the stability you need for the catch. The web is also closed so you can really secure that ball. The leather used here is Walnut Steerhide, and it’s very flexible and lightweight. Breaking it in doesn’t take long, and after 2 weeks or so it should be just fine. The wrist strap is adjustable, so you can fit your wrist in snugly. It’s also made in the US. 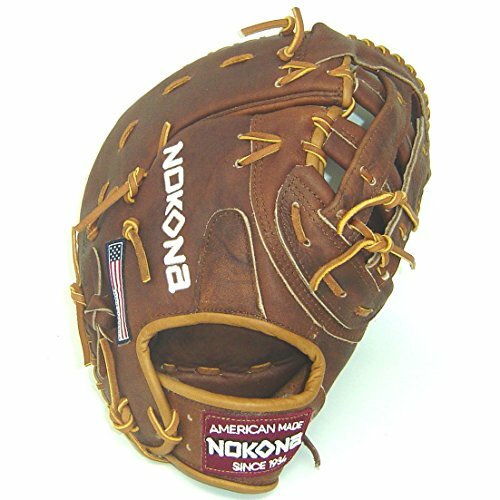 Add the Nokona baseball brand to that and you have an especially durable first base mitt. You won’t really have to worry that you’ll need a backup mitt for this since it can handle all those throws. These are usually the smallest gloves in the baseball field. Adult sizes range from 10.5 inches to 11.75 inches. The glove specifically for the 2nd baseman is usually just a bit smaller than the glove for the shortstop. The small size means a smaller pocket, and that’s a good thing for a middle infielder. That’s because the smaller pocket lets the infielder grasp the ball more easily so that they can throw the ball more quickly. That split second difference may be all that’s need for a successful double play or beating a fast runner to a base. This should also have an open back design for greater flexibility to make it easier to e to the ball and to transfer the ball to the throwing hand. Also, the webbing should be open so that the dirt can fall through the gaps. When it comes to fielding the ball, the middle infielders really have it tough. 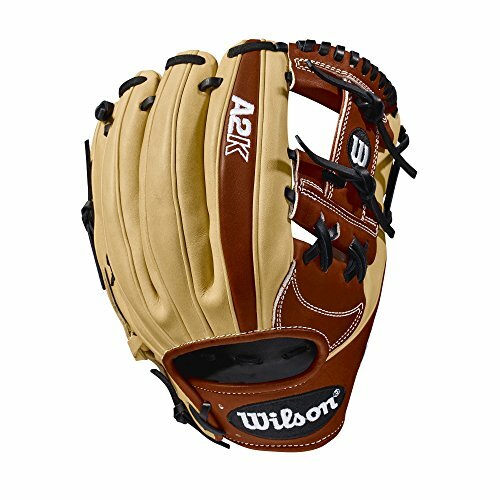 That’s why they need the best gloves, and for that you have this Wilson A2K 1787 that’s new for 2018. 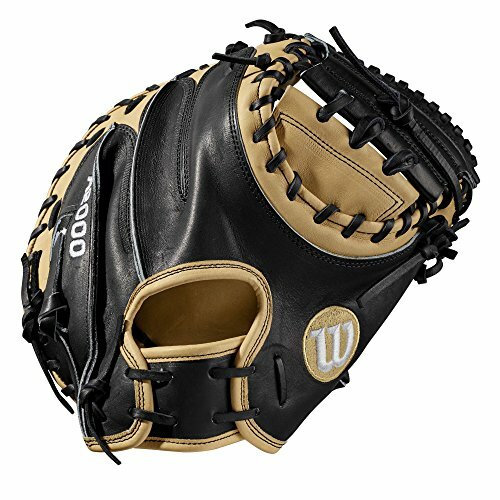 This is the top of the line model from Wilson, and that’s reflected in the high price. But then again you get a lot for your money, as the features in this A2K really make life easier or you when you’re the shortstop or the 2nd baseman. The leather is thick and strong and it comes with a tighter grain. The leather has been formed and pounded by a master factory technician more than 3 times than that for the A2000 gloves. That shortens the break in time considerably. Then it also has the rolled dual welting feature. Like the standard dual welting pre-curved finger design, it keeps the pocket shape for a longer period of time. But this rolled dual welting version also makes the break-in go faster. It also has the double palm construction. This means that inserted under the palm there’s another thin piece of leather. This really makes the pocket more durable and more stable. This is another glove that lots of pros go for. It really is professional grade, and it’ll be difficult for you to find a glove that’s better. For younger players, gloves for middle infielders ought to be just fine. But the best infield gloves for 3rd basemen are generally just a tad longer. That’s because the need all the help they can get trying to snag all those hard hit line drives and ground balls. It calls for a somewhat deeper pocket. This is again a top of the line model, and it’s a beauty. It uses what’s called the Heart of the Hide steer leather, because the leather comes from the top 5% in quality from the center of the steer hide. Then all that leather is laced together with Tennessee Tanning rawhide leather laces. 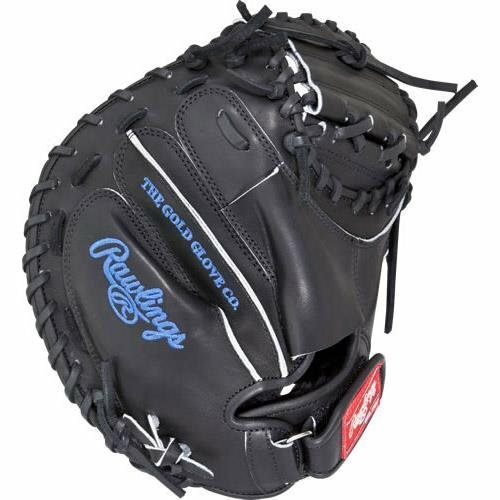 It is quite a comfy glove, and it protects your hand superbly from all those line drives. You have a padded palm and padded thumb loops, along with soft full-grain finger back lining. You also get the “Deertanned Cowhide Plus” palm lining. This version measures 11.5 inches, and it comes with a narrow fit and a pro H (open) webbing design. The narrow fit gives you a narrower wrist opening and the finger stalls are tighter. That makes the fit more comfortable and more secure. The break-in has also been accelerated. It’s already been broken in by 40% at the factory so it won’t take you too long to break this in properly. Many players in the outfield prefer huge outfield baseball gloves that may sometimes rival the size of the 1st baseman’s mitt. In the major leagues, these gloves are limited to just 12 inches long yet some players sometimes fudge with the rules and go bigger. If your league allows for bigger outfield gloves, then go for it. You need bigger gloves in the outfield because you have to cover a lot of ground and you have fly balls to catch. Sometimes you may even have to try to steal a home run by catching a ball over the fence. So you need a bigger pocket, and that means a glove size ranging from 12 to 12.75 inches. This is made in the US. The Nokona brand is actually named after the Nocona town in Texas where this is made, and they’ve been making excellent gloves since 1934. This glove is specifically the outfield model. It measures 12.25 inches and it features the Six Finger Trap Web that makes it so much easier to catch all those fly balls. It’s made with buffalo and stampede leathers, and it’s not that heavy at 0.56 grams. It comes with a game-ready feel right away, and it provides an intermediate fit that’s great for young adult outfielders. For more youth gloves you can visit this page. Now this is a huge outfielder’s glove as it measures 12.75 inches. It uses premium Japanese kip leather with soft cowhide leather fingerback and palm lining. The thin heel padding is like that seen in the majors, since it offers a better feel for the ball and the break-in is easier. This really seems professional, in feel, durability, and performance. It’s been handcrafted to the highest standards so that pros can use this. In fact, pros like Chase Utley who is a partner of Marucci fielding gloves were consulted for the design of the glove. The H-web design lets you track fly balls more easily. For greater durability, there’s double lace reinforcement in the web. It even comes with the Tri-Welt Pinky Construction that lets you shift your fingers in the pinky stall more comfortably. 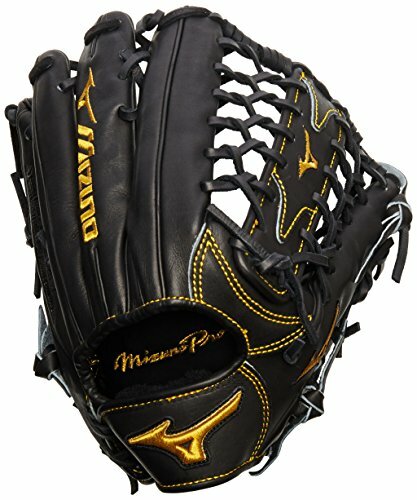 This limited edition glove features perhaps the strongest leather in any Mizuno glove. It uses the Japanese Deguchi-tanned Northern European Kip Leather that’s soft and strong and has tighter fibers. Then the leather goes through a special tanning process that really optimizes the strength of the leather. It’s perfectly balanced, and it’s lined with unbelievably soft elite deerskin. You have 3 options for your index finger position, so you can get the level of comfort and control you want. It also offers a bigger pinky slot, so you can shift your finger for greater leverage. This comes with the regular open back, and the web design is the one used by Ichiro. That web design looks like a fishing net. When this first came out, it also came with a rather prohibitive $500 price tag. Thankfully, it’s now a lot more affordable. Now you can get the kind of leather quality and glove craftsmanship that the pros enjoy each day. Catcher is a position of skill, technique and protection. They protect the plate at all costs. This player also needs top of the line protection with a catchers mitt. The position of catcher receives the ball more than any other player on the field. They also receive it many times anywhere between 70 and 90 miles per hour. Bottom line: buy the best mitt you can. Here are three options for you to investigate. There’s no such thing as a baseball glove that’s good for every fielder. Each position has different requirements. There are also some other overall consideration which you have to factor in. This is often the most important consideration for any consumer. After all, not everyone can drop hundreds on a glove each season. 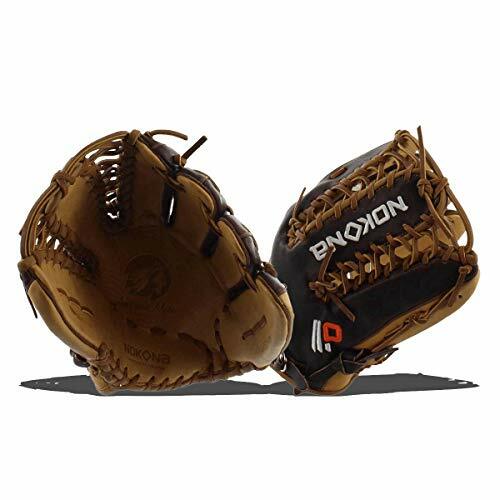 Usually, you shouldn’t spend too much on baseball gloves for newbies and young players. You will however want to invest in a high quality glove the longer you play. You don’t want kids to outgrow their gloves very quickly. It’s only when the player is perhaps in high school when more expensive gloves make more sense. The general rule is that when you pay more, you get higher quality. So even though you spend more money on the glove at the start, you can enjoy more years using it. Besides, the cost is worth it if the glove really offers superior performance. Most of the great gloves cost right smack in the middle of the $200 to $300 range. But a few cost even more than that, though they don’t go over the $400 mark. Some people think that price of the baseball glove just depends on the brand. Actually, it depends more on the quality of the leather used for the baseball glove. It just so happens that the more famous brands usually insist on using very high quality leather so they usually come with a higher price tag. So for newbies and young players, affordable synthetic leather should do nicely. It doesn’t even need a lot of break in time at all. It won’t really last for more than a couple of seasons and it doesn’t really mold itself to the shape of the hand, but then again young players will quickly outgrow them anyway. Beginners will also want a better glove once they take to the game. Then you have the oil-treated leather. The oil softens up the leather so they’re easier to break in. You also have the top grain leather, which is a bit stiffer but should do nicely. The best of them all are the gloves made of full grain leather. This may start out very stiff at first, but in time it will conform to the shape of the hand. This is great for older and more serious players, as they cost a lot more and should last for many seasons. This refers to the glove area that connects the thumb part to the other the finger slots. It provides you with a basket configuration for the glove so it’s easier to catch the ball. Many manufacturers come with distinct webbing types, but they all tend to be either closed or open webs. When you have a closed web, the leather pattern is tightly woven and there are no gaps in the webbing. This makes it great for pitchers, so that they can grasp the ball and the hitter won’t know the kind of grip is on the ball. This keeps them from anticipating the type of pitch that’s coming. Outfields also like this kind of webbing because it helps block out the sun when they’re trying to catch a fly ball. With open webbing, you usually have a cross pattern for the leather pieces so there are gaps in the webbing. Other outfielders may choose this style because the gaps can help them track the fly ball through the gaps. Infielders also tend to go for this type of webbing because the gaps allow any scooped dirt to fall through. This is the glove part that’s at the back of the hand. It’s either an open or closed design, and the best choice is usually the design which feels best for you. Generally, there’s not much difference between them in terms of performance. However, infielders may want to go with the open back design. That’s because the open design allows for more flexibility for the wrist, which helps infielders deal with ground balls. It’s also cooler because of the extra ventilation, and that’s a good thing for summer season games. On the other hand, 1st basemen and outfielders may want to consider the closed design. It offers more stability, which helps when trying to catch speedy line drives. This really depends on the position. Bigger gloves are slower, but they provide a bigger basket so catching the ball is easier. On the other hand, smaller gloves are easier to move around so you can get to the ball more quickly. Of course, you should also make sure that the size matches the size of the hand. Young children should go for 9-inch infielder’s gloves and 11-inch outfielder’s gloves. From ages 9 to 13, the infield gloves should be about 9 to 10 inches while in the outfield it should be 11 to 12 inches. Older kids should go for 10.5 to 11.5 inches in the infield, and 12 to 12.75 inches in the outfield. This is not really a rational factor to consider, but then again baseball is a game in which fandom is a natural phenomenon. In this case, you may have some sort of affinity for a certain brand with a great history. You may also go for a brand that’s used by your favorite player. However, this factor should only come in if all the other factors are equal and you need to choose between 2 gloves with similar prices and performance benefits. It shouldn’t really be a top priority when you’re choosing your own baseball gloves. Although they didn’t make the list, honorable mentions go to Shoeless Joe gloves, Akadema and Louisville Slugger. So pick a glove here for your position, and get ready for excellent performance. The only downside to these gloves is that you can’t blame your equipment if you make an error. But these gloves can help make those fielding errors come much less frequently. With the best baseball gloves, you also get to have a lot of fun and that’s what the game of baseball is really all about.